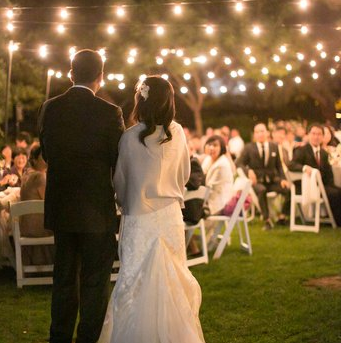 Temporary lighting for weddings, parties or any gathering outdoors after dark. Parties, weddings, or any reason to gather outdoors after dark. We provide temporary outdoor lighting services to Nashville and the surrounding areas. We design and install stunning displays for any type of outdoor event such as weddings, parties, corporate events, family reunions, graduations – basically for any gathering outdoors where functional and aesthetic lighting are needed. 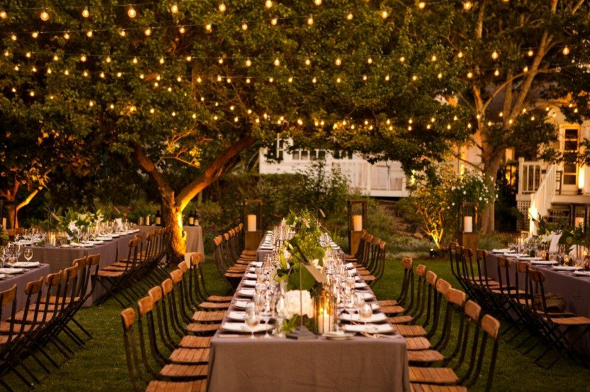 If you have an outdoor event planned and expect the party to last into the evening, then you need outdoor lighting. That’s where we come in. We design and install beautiful outdoor lighting displays to accomplish both functional and aesthetic purposes. 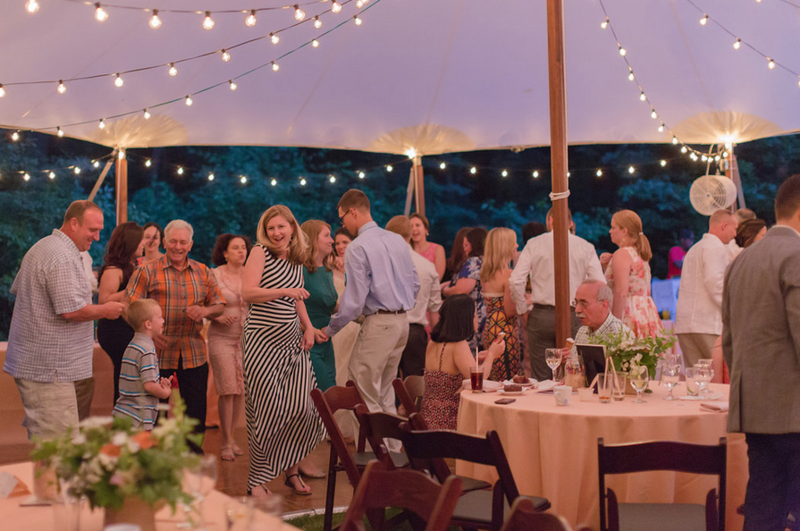 If you’re planning a wedding or party in the Nashville area, Light Up Nashville can help. Light Up Nashville’s professional wedding & party light specialists can help make your special day one to remember for a lifetime. We offer full service, professional and timely lighting installation. 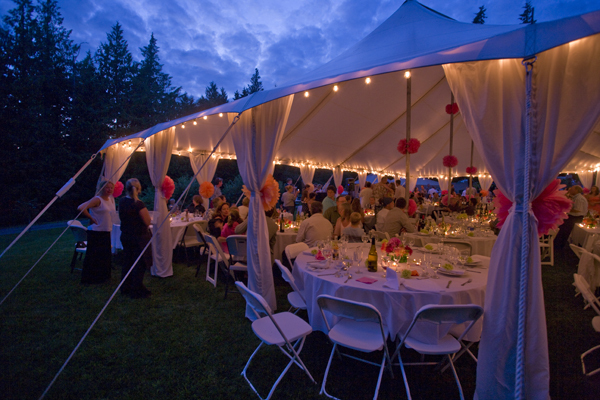 We can help provide both practical and mood enhancing lighting for your outdoor wedding. We understand how to enhance the atmosphere and mood for your wedding reception or ceremony. At Light Up Nashville, we are dedicated to creating the perfect lighting for your event. 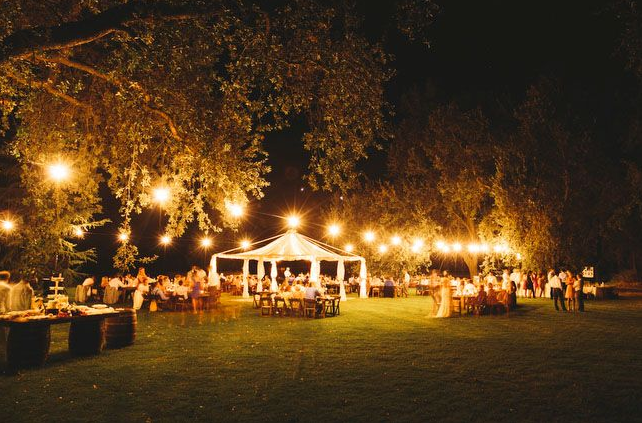 There’s nothing quite like a wedding reception under the stars. But you don’t want to celebrate in the dark! 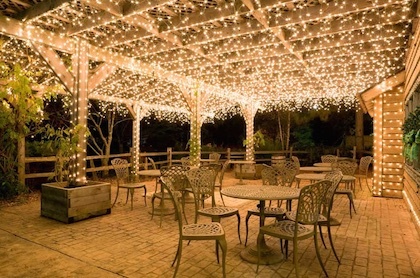 Don’t let flood lights ruin your event, let us install attractive string lights and mini-lights. We can create the necessary light you need while creating the perfect ambiance. We specialize in lights, so unlike other companies that only offer set lighting packages, we create custom lighting solutions specific to your style, space and needs. We will work with you to bring your wedding lighting vision to reality. We offer many solutions for tent lighting. 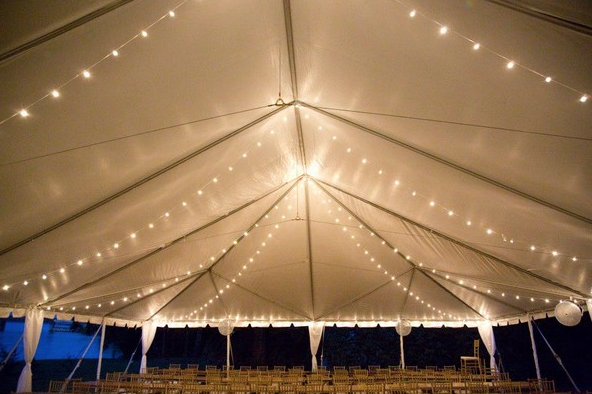 We install simple designs such as perimeter tent lights to more complicated full canopy tent lighting. If you’re not sure what you need, we can help. We offer many solutions when it comes temporary outdoor lighting, and no one is better suited to meet your needs in the Nashville area. Enjoy good beer and holiday cheer a little early this year. 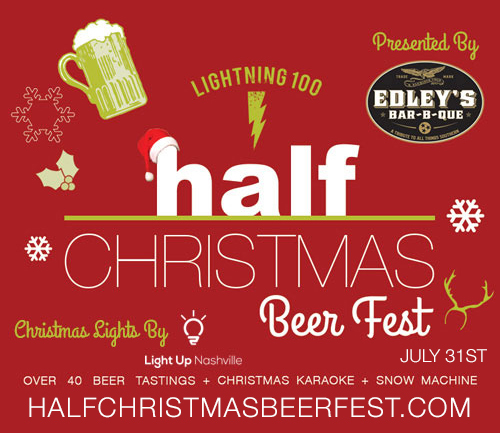 We’re happy to be working with Lightning 100 to “light up” the beautiful and historic Riverwood Mansion in East Nashville for this year’s Christmas in July beer festival celebration. Beer tasting, DJ, Christmas Lights (that’s us! ), Christmas karaoke and more! It’s going to be a blast and we hope to see you there! 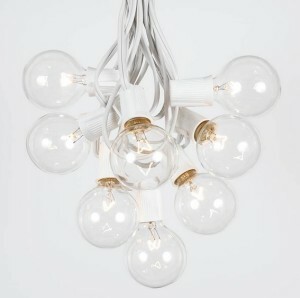 Please note: our event lighting minimum is $1,500.